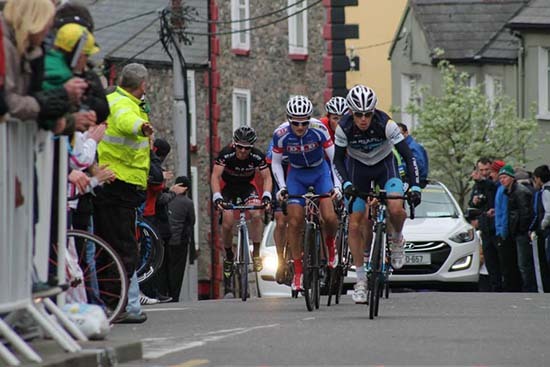 The legendary South Kerry Stage 3 of the Kerry Group Ras which begins and ends in Waterville always plays a huge part in the outcome of the race. Last season Conor Hennebry had a great day on the bike winning the Stage and the Eamon Scully Cup on his way to taking the overall victory in the race. But almost as important as the roads are on this Stage the weather is the huge factor. Having been down in Portmagee and Waterville the day before I wrote where the sun was shining I will be keeping my fingers crossed for a repeat on Easter Sunday. If the weather plays ball – to mix my sporting metaphors it makes this stage a really tough but pleasurable ride. While the riders will not be looking at some of the countries most spectacular scenery it certainly makes it easier if the day is good. If the weather gods decide that the riders need further challenges and we have rain or wind then Stage 3 really becomes a huge test for everyone. So whatever entity you pray to then on Easter Saturday night have a quick word for a good day on Easter Sunday ahead of the 2019 version of the Queen’s Stage of the Kerry Group Ras Mumhan. 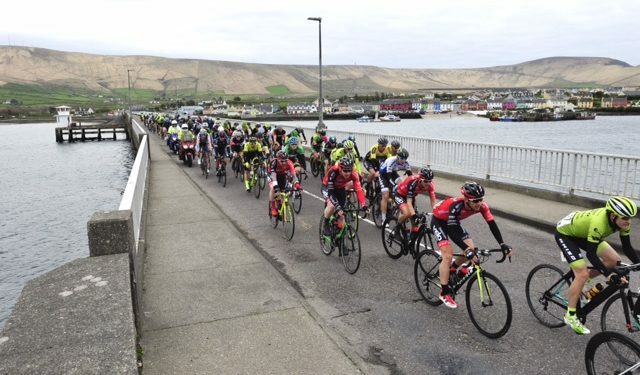 The Stage starts and finishes in Waterville and goes through the village of Portmagee, onto and off of Valentia Island via the bridge and through Caherciveen passing the birthplace of The Liberator Daniel O’Connell. As the race climbs out of the town it will pass the home of the late, great and unique Iron Man Mick Murphy before the steep decent to the right hand turn at Dromid and then it heads back to Portmagee again ahead of the famed Category 1 Coom An Easpaig climb. Going up is tough but so is the fast decent into The Glen. As the riders get to Ballinskelligs things should be taking shape. From there the race will head back onto the main Ring of Kerry road and speeds back into Waterville and around the sharp right-hander and onto the short finishing straight. Those looking for the Stage win or to be towards the top of the GC list ahead of the final day will have to have a good plan for the day and execute this perfectly to get what they want from what is a special day on the Irish cycling calendar.